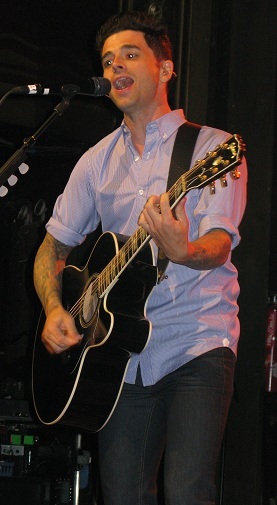 Celebrating the ten year anniversary of The Swiss Army Romance, Chris Carrabba embarked on national tour to perform the album its entirety each night. Support varied from show to show or leg to leg, but New York City may have gotten the sweetest package with River City Extension, Cory Branan, and John Lefler opening the evening at Webster Hall. 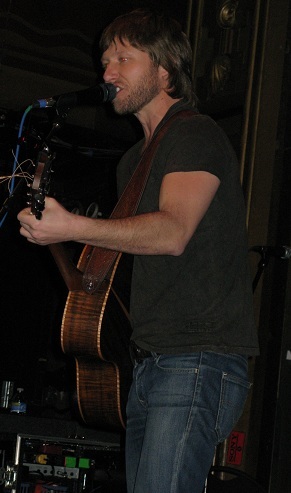 Carrabba’s Dashboard Confessional bandmate John Lefler performed first, using just acoustic guitar or piano for a brief twenty-five minute set. 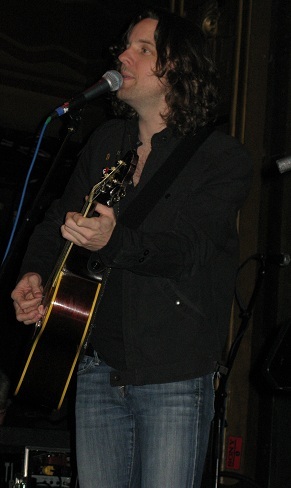 Lefler’s six simple songs were generally easy-going and enjoyable, showcasing a side of the talented songwriter often overshadowed by Carrabba in Dashboard Confessional. Though the set began with a brand new song, the rest of the selections came from 2009’s Better By Design, including the title track that went last just before 8PM. Cory Branan brought his acoustic guitar on stage a few minutes later, demonstrating his incredible singer-songwriter skills to a very receptive crowd. Adept at storytelling, “Prettiest Waitress in Memphis” was immediately likeable and forced the sold out Webster Hall audience to pay close attention to the Mississippi native. “Tall Green Grass”, often covered by Carrabba, sounded wonderful. Mesmerizing finger-picking and slap guitar playing carried Branan’s Southern stories, while his distinct voice and ability to hold notes in a wide range brought the tales to life. “A Girl Named GO”, the first track from 12 Songs, concluded Branan’s excellent twenty-five minute set. To fit with the evening’s theme of acoustic performances, a stripped down version of River City Extension took the stage at 8:45PM. Primary songwriter Joseph Michelini lead the way on guitar, backed by vocalist Sam Tacon, drummer Mike Costaney, cellist Jenn Fantaccione, and trumpeter Dan Melius. 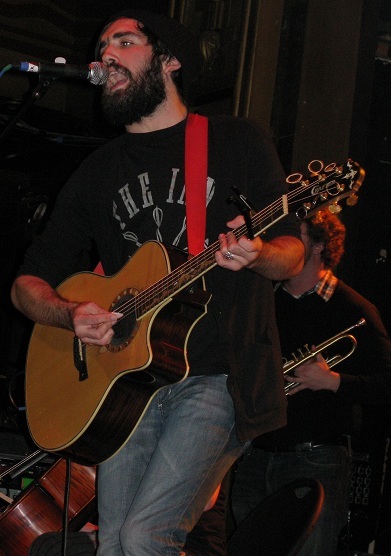 With three members absent, the New Jersey band performed slightly different takes on songs from their 2010 debut and used the occasion to perform a few non-album songs more suited for the unplugged atmosphere. “Today, I Feel Like I’m Evolving” was fairly straight-forward, the introspective cut already a largely acoustic number; Fantaccione’s subtle cello parts do a nice job of complementing Michelini’s fingerpicking. “Something Salty, Something Sweet” and “Adrienne” work better with a full band, but the somewhat softer approach to these songs was still quite pleasant. Guitarist Nick Cucci joined for “Waiting in the Airport”, helping flesh out the …And the Unmistakable Man closing track. New songs “Welcome to Pittsburgh” and “Ballad of Oregon” sounded great, the latter closing River City Extension’s tightly-executed forty-five minute set. 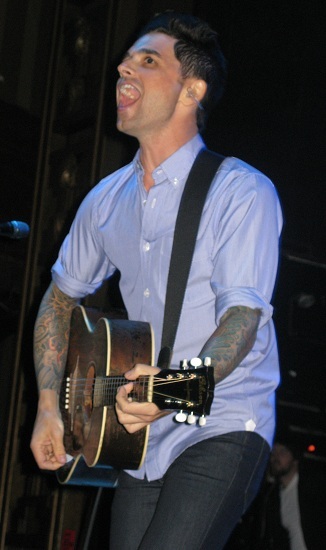 Armed with just an acoustic guitar, Chris Carrabba began tackling his first Dashboard Confessional album at 10PM. The oddly tuned “Screaming Infidelities” had the entire crowd singing along from the song’s first words, a smiling Carrabba struggling to sing above the audience. Introduced as a song about a pickup truck and a bad girlfriend, “The Sharp Hint of New Tears” went next, followed by the very rarely played “Living in Your Letters”. 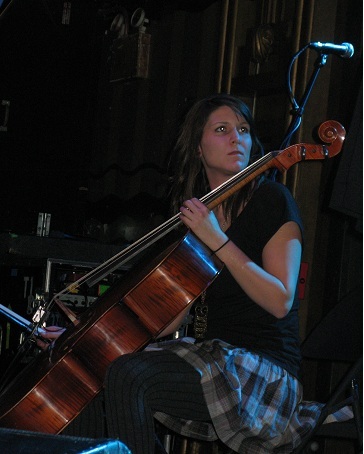 The Swiss Army Romance title track ended in a full singalong, as it often does during most Dashboard Confessional concerts. Audience participation continued on “A Plain Morning”, with the sold out Webster Hall contributing the “again” harmonies to the song’s final moments. Carrabba used “Ender Will Save Us All” as a thank-you to Amy Fleisher, the founder of Fiddler Records who originally took a chance on Dashboard Confessional ten years ago. Carrabba’s vocals could not have sounded better during his ninety-minute setlist, performing decade-old songs with the urgency and passion of a wet-eared teenage musician. Alone with just an acoustic guitar for twenty-one songs, the Dashboard Confessional frontman showcased his remarkable command of not just the stringed instrument but also his voice. Constantly appreciative of and thankful for his fans, Carrabba’s undeniable charm and charisma enhanced a great performance of truly well-written songs. 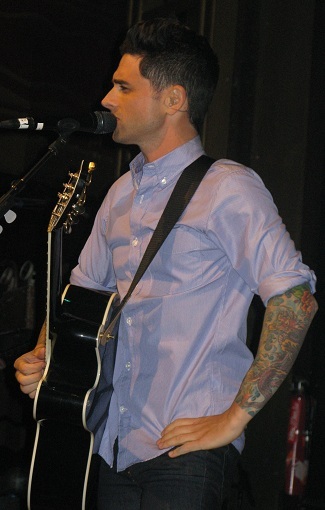 You are currently browsing the archives for the Dashboard Confessional category.